This unique feature allows us to show you the price history of a product. Often we see products reduce in value when more stores begin selling them or as their market moves away from early adopters to the masses. With both price (high, low and average) and number of outlets tracked you can gauge whether today is a great day to buy, or whether you missed a bargain last week (we’ve been there too so don’t beat yourself up too much!). For more Price History click here. Click this badge and you’ll be shown the details of the product, relevant stores, pricing and also a tab called ‘price history’. Click this tab and you’ll be shown charts like the ones shown below. 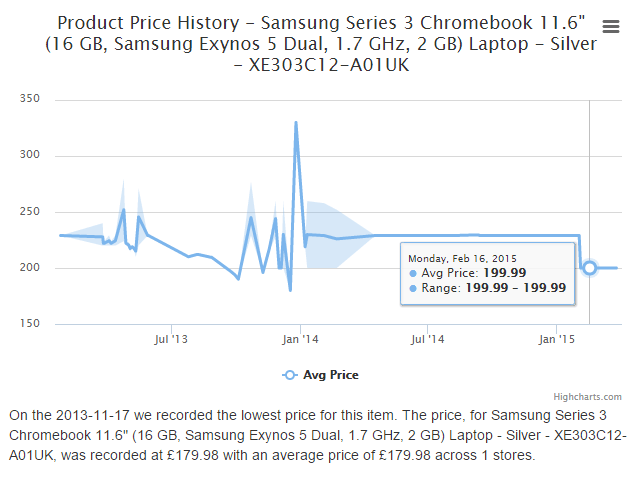 On the CheckoutSpy website, price checks for up to ten related products are shown on the right hand side of the screen when a user searches for a product. This allows users to quickly see the price for similar products – for example price checks for a product bundled differently, or for different product accessories. In the screenshot to the right, we can see that a search for ‘Lego’ shows up various themed Lego kits. This screen also usefully gives the maximum and minimum prices that CheckoutSpy has seen for each product, along with the potential saving in both £ and as a percentage. 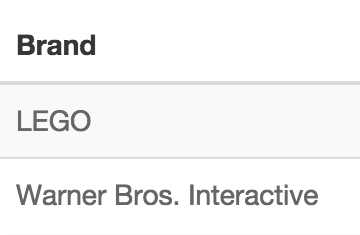 When a user searches for a product, related brands will appear at the bottom of the screen. This allows users to see relevant, related brands allowing them an easy way to search for other similar products. Our features section showcases a range of articles, guides and information from our team of writers to help users save money. We have articles on a range of topics including how-to guides, top products, reviews and guides, and informatives. You can read our most recent articles and blogs here. The latest articles are also accessible from the bottom of our homepage. Found a bargain and want to tell your friends? The nifty toolbar on the right hand side of the page allows you to do just that in the click of a button! You can share with Google+, Facebook , Twitter, via email, or by printing a copy of the webpage using the top five icons. If you have somewhere else where you’d rather share, simply click on the plus sign and your favoured sharing tool should be listed. 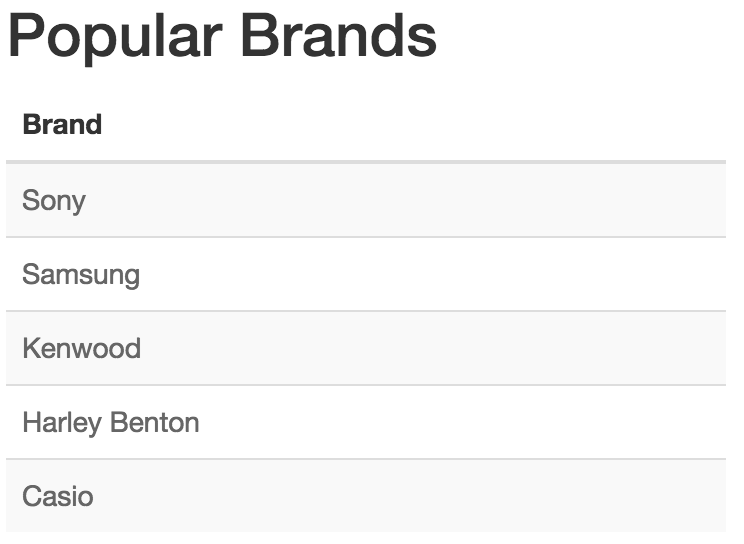 Similar to the Related Brands area, this area of the website shows the brands which have been most searched by our users in the last seven days. This means consumers can see which brands currently have the largest search volumes and are on-trend right now. CheckoutSpy is more than just a price comparison website – it’s a community. We have social media pages to help keep consumers up-to-date on the site and we love to hear from our users. We actively encourage feedback and website ideas and are always looking for ways to improve the site and make it easier for users to browse. If we haven’t thought of it and we implement a user’s idea, we’ll send them gift vouchers as a thank you.